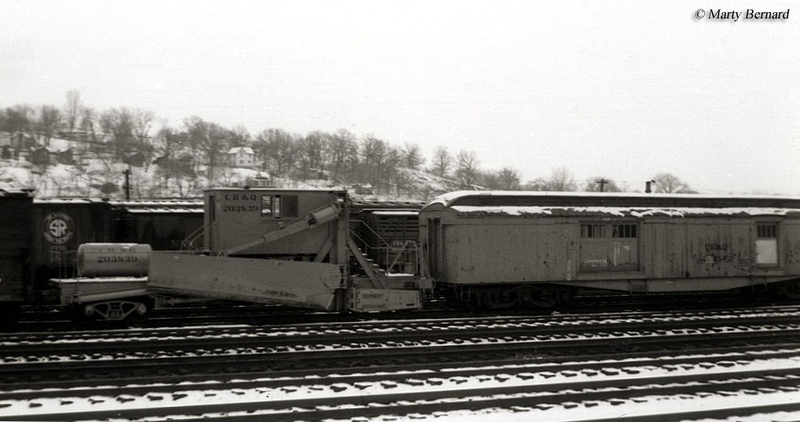 Jordan Spreaders are the earliest type of true maintenance equipment employed by railroads. Extremely simple machines by design it was developed by Oswald F. Jordan in the very early 20th century and consists of almost no moving parts. Not only is the Jordan able to dig and effectively clean ditches it can also properly regulate ballast and even plow snow if needed. Today, the Jordan Spreader has mostly been replaced by newer, faster, specialized, and more efficient machines (such as tampers, regulators, and cleaners) but it still finds work on some railroads usually in profiling or snowplowing. Interestingly, even after nearly 100 years since it was first developed the Jordan still finds use today on smaller railroads and other various applications. Oswald Jordan was once a roadmaster employed by the New York Central Railroad. However, for years he had been working on a new piece of equipment to greatly enhance and improve the efficiency of railroad maintenance. So in 1905 he left the NYC and set out to develop what would become the Jordan Spreader. Six years later in 1911 Mr. Jordan set up his factory in East Chicago and his new machine quickly became very popular. The Jordan Spreader is quite simply an angled plow that is free-pivoting. Attached to this can be extended wings which slope to fit the contour of each individual railroad's right-of-way (every winged attachment had to be custom ordered by the railroad), thus giving the ballast a uniformed, clean, and neat appearance along with the fact that it allows for proper drainage of water. And finally, these wings could also have a ditching attachment added. So, in one pass, or just a few, a railroad could properly contour its ballast and do ditching work all at once. 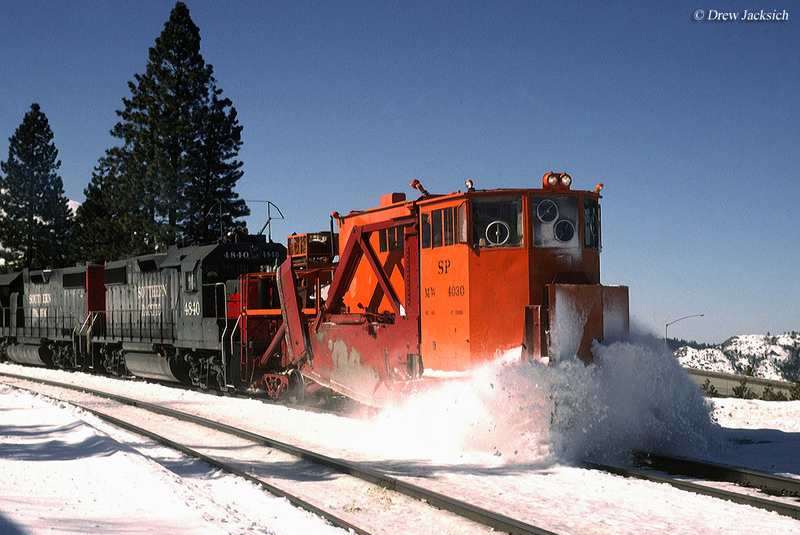 Ballast (usually crushed stone), as it is known, is another important part of railroad infrastructure. Although it may just look like plain ole gravel this stone plays a vital role in acting as a support base for the ties and rails as well as allowing for proper drainage of water away from the rails (which is why the stone is always sloped downward and away from track). You may be wondering how such a term came to define the stone which supports the track structure. Interestingly, it has its roots dating back to early times when stone was used as ballasting for sailing ships. Of course, while crushed stone (often limestone or quartz) is the aggregate of choice for today's railroads in years past everything from slag to cinders has been used (always resourceful years ago railroads would use whatever they could find). Some light density branch lines would appear jet black as nothing but burnt coal cinders were used to ballast the route. 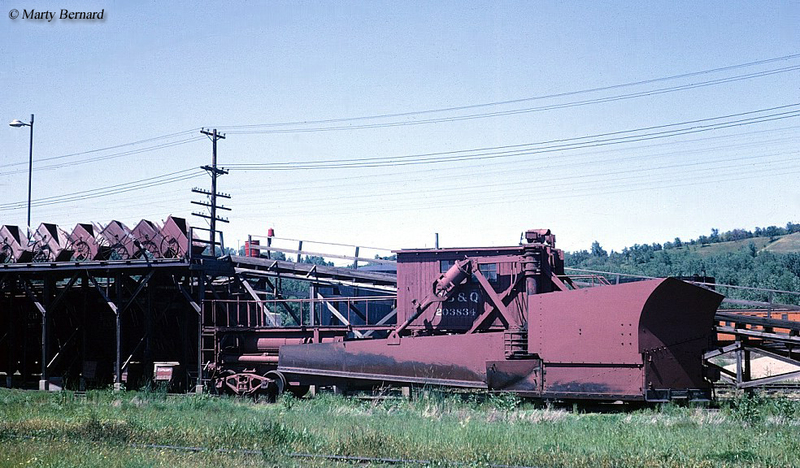 The Jordan became a fixture of railroad maintenance because of its simplicity, flexibility, and ruggedness. The machine would eventually come in four different models the Standard discontinued in the 1960s, Roadmaster, Type A Jordan, and Type J Jordan. Starting in the 1950s the Jordan would become equipped hydraulics giving it extra strength and versatility. However, it's one inherent setback was that it was never powered, requiring it to always be pushed by a trailing locomotive. This, of course, demanded constant communication between engineer and operator although the fact that it was never powered would eventually lead to its downfall. In the 1964 the O.F. Jordan Company would be purchased by Jackson Vibrators, which is today part of the Harsco Rail, a leading railroad maintenance company. Today, the Jordan Spreader still finds some uses on railroads, such as in snowplowing work but it is rarely used to dig ditches because it is unpowered having been replaced by newer mechanized machines available by companies such as Loram, Herzog, and Harsco. Still, the fact that it still finds work today after nearly 100 years is a testament to the Jordan's flexibility and redundancy. Railroad ditch diggers are not the only machines used to keep right-of-ways properly maintained. Others include ballast cleaners, which as you might expect clean the ballast and undercutters. Once the crushed stone making up the ballast structure has broken down too much to be effective any longer railroads must replace it. To accomplish this task a another piece of equipment known as an undercutter is called in. This hefty machine is somewhat similar in appearance to a ballast cleaner. However, instead of cleaning the stone it scopes it up to be replaced. 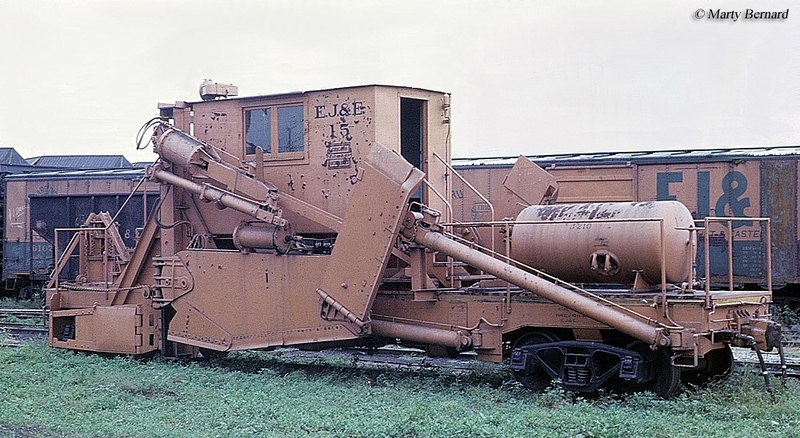 For more reading about Jordans you may want to consider the book Railway Maintenance Equipment: The Men and Machines That Keep the Railroads Running from noted author Brian Solomon. 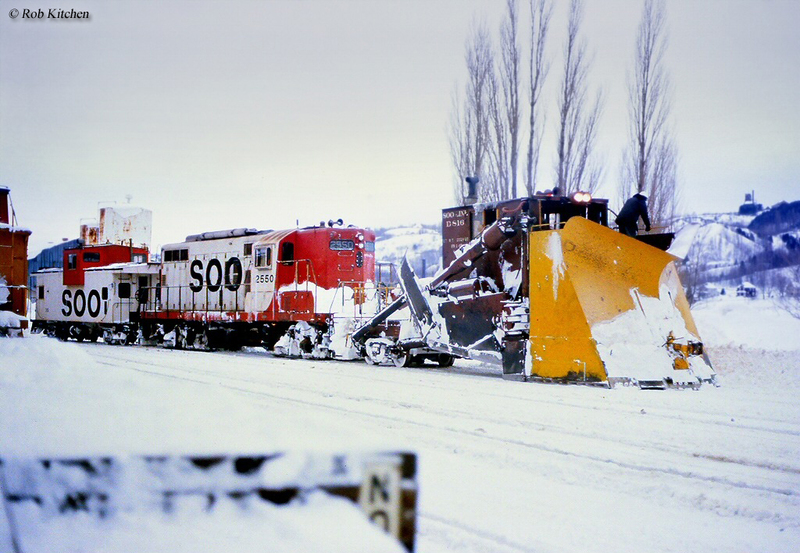 Throughout the book's 128 pages Solomon covers all types of maintenance equipment from tampers and undercutters to Jordan Spreaders and rotary snow plows. I own this book myself and have used it as reference material for this site many times. It's a great read on an often little understood area of railroading. If you're interested in perhaps purchasing this book please visit the link below which will take you to ordering information through Amazon.com.